Feb 8, 2018 Update – With attempts to iOS 11 jailbreak intensifying, there is finally some good news from the cracking community. Major breakthroughs are being made in the efforts to jailbreak the latest Apple mobile operating system, and it seems that jailbreaking is not as defunct as was feared at one time. After a long wait for someone to successfully jailbreak iOS 11, the news of the Electra jailbreak and LiberiOS jailbreak was music to the ears of those hoping for a more opened up Apple operating system. While iOS delivers a slick user experience, it can also be said with some authority that it can be a little restrictive and lacking in customization options. 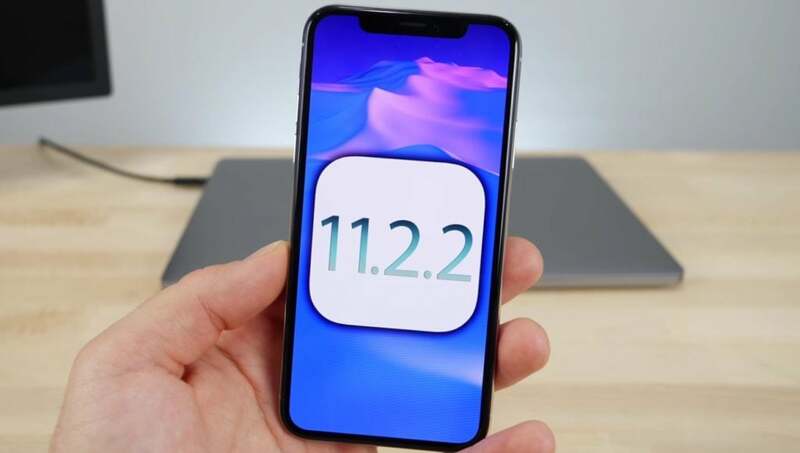 With these latest jailbreak tools having been made available for all versions of the operating system from iOS 11 to iOS 11.1.2, it seems that all contemporary users of Apple iPhone products can benefit from the innovative cracks. There are still big plans in the jailbreaking community for further work in this area. It is notable that in the Cydia system has yet to shift to the latest version of the iOS system, but further news suggests that this will happen in the near future. However, the release source will be different from previous versions of the iOS operating system, with the developer of the Electra Jailbreak, CoolStar prepping to release it for iOS 11 to iOS 11.1.2. In fact, Cydia for iOS 11 is nearly ready according to statements from the organizations involved, with the platform set to go live in the next few days. Some of the technical details are being finalized regarding this attempt to iOS 11 jailbreak, but it seems that it will nevertheless go live sooner rather than later. Meanwhile, Jaywalker has announced that the jailbroken App Store will be released in the next few weeks as well. This is undoubtedly exciting for anyone who follows the jailbreaking community, as many have been waiting for the platform to arrive with support for the iOS 11 operating system. Once this is initialized, it will be possible for users to install all manner of jailbreak tweaks and applications on their cracked iPhone devices. It is also not clear whether Cydia Substrate will be included while attempting iOS 11 jailbreak. This program is usually a requisite to any cracks, enabling tweaks to the operating system to perform as intended. But there has been no official word on this software as of yet, suggesting that it may not feature in the latest released version of Cydia. With iOS 10 having been jailbroken for over 12 months now, it is interesting to compare the quality of jailbreak delivered for iOS 11. There is no doubt that the iOS 11 system is even more complicated than iOS 10, and this obviously poses the cracking community a huge amount of challenges. Indeed, it was thought at one time that attempts to jailbreak iOS 11 would ultimately turn out to be futile, these fears have proved to be unfounded. One of the interesting aspects of the jailbreak for iOS 11 is that it delivers almost unlimited customization. It has been noted that jailbreaking suits stock firmware versions better, which includes the existing iOS 11 operating system. This means that the potential of the iOS 11 jailbreak is greater than last year’s attempts. It will be interesting to see whether jailbreaking continues to have a future in the years to come. While there was scepticism that anyone would jailbreak iOS 11, ultimately a suitable software crack did come to fruition. But Apple has gone to significant lengths to make its operating systems more difficult to jailbreak in the first place, while the programs it has set up have also disincentivized crackers from releasing such a jailbreaks publicly. iOS 11 has undoubtedly established itself as the most important of the Apple operating systems, yet it isn’t being used by all iPhone users by any stretch of the imagination. Incredibly, nearly 25 percent of iOS users continue to run earlier operating systems, with the vast majority of these relying on the iOS 10 operating system. It can reasonably be assumed that many of these favor iOS 10, owing to the jailbreaks that have been released previously. This would suggest that there is still a significant public appetite for the iOS operating system to be opened up to further customization and functionality, indicating that the jailbreak community may be more enduring than has been predicted previously. Indeed, around 1 percent of Apple iPhone devices are currently running the now ancient iOS 6, 7 and 8 releases. This really is almost entirely indicative of an appetite for jailbreaking, as there is really no other rational reason for users to cling on to such ancient operating systems. It is likely that many of these jailbreak fans will migrate over to iOS 11 once Cydia becomes compatible, which should be in the next few weeks according to the jailbreakers themselves. It should also be noted that some users possibly cannot be bothered to upgrade their devices, which would certainly account for some of the users still stuck with older operating systems. Many may argue that Apple could negate the jailbreaking community by simply ensuring that its devices are more flexible and less stringent. But the company has always operated a buttoned-down a policy for the iOS operating system, and this is unlikely to change in the foreseeable future. For the meantime, the conflict between the cracking community and Apple will continue, and it seems that the successful attempts to jailbreak iOS 11 are indicative of this fissure. Jailbreaking is certainly always a risky undertaking, as jailbreaking is most definitely not officially approved by Apple. The consumer electronics giant does all that it possibly can to both prevent a jailbreak, and also dissuade iPhone users from implementing any jailbreak that is released. While the bricking of an iPhone device is unlikely even if an iOS 11 jailbreak is released, it also cannot be ruled out entirely. Nonetheless, this is unlikely to dampen the enthusiasm for jailbreaking. And for the time being, those users sticking with the iOS 10.3.3 can at least download a viable jailbreak, and benefit from all of the customization options that this makes possible. Additionally, users looking to embrace jailbreaking would be advised to stick to older iOS versions, as it will be impossible to go back to these from now once upgrading has taken place. Certainly Apple isn’t particularly accommodating when it comes to jailbreaking, and certainly doesn’t seem to have a philosophical attitude to the practice. This is reflected in the extent to which Apple has already patched the iOS 11 operating system, making any jailbreaking of the software particularly challenging. It does seem that the days of jailbreaking being a central aspect of Apple ownership are limited, possibly even a thing of the past. Nonetheless, those hoping that they will benefit from a jailbroken Apple device in 2017 would be well recommended to stick to the iOS version 10.3.3. Nonetheless, there is still no jailbreak available for this version of the operating system as of yet, despite the fact that undoubtedly developers are working on such breakthroughs. Another option is to avoid 11.0.1 completely whenever it arrives, as this will undoubtedly include software improvements that will make the system even harder to crack than it is already.